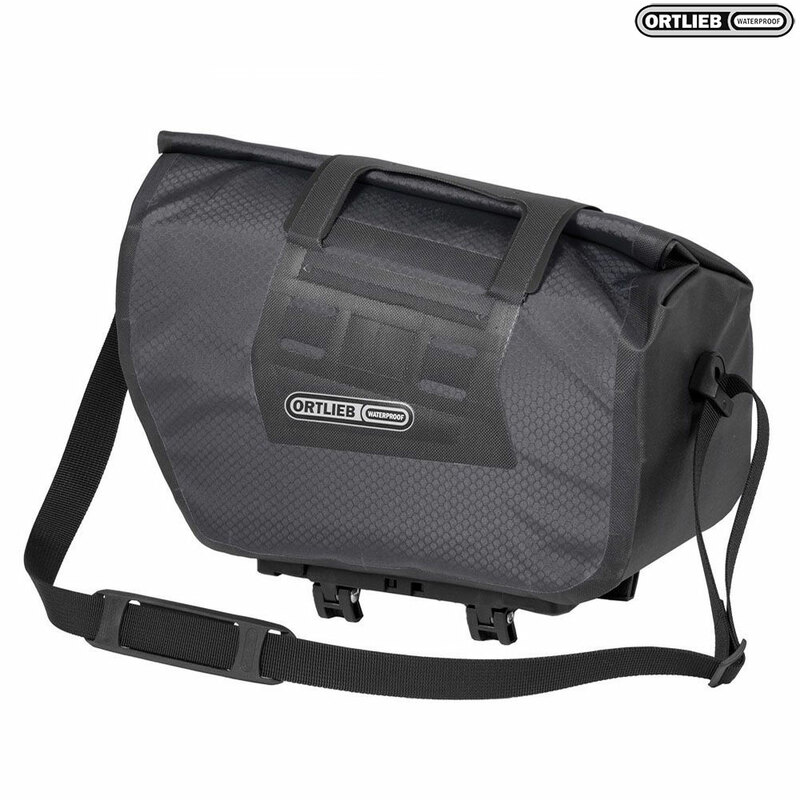 Good news for all of those on the lookout for a convenient, waterproof bag to transport their belongings: the proven Ortlieb 'bike trunk' is now available with a Velcro roll closure! The closure of the Trunk Bag RC also serves as a convenient carrying handle. With a 12 litre payload and a shoulder strap, the waterproof bag that mounts on top of your bike rack is ideally suited for longer tours and brief forays to the supermarket. Even when the bag is fully loaded, your smartphone, wallet and keychain remain quickly accessible thanks to the inside pocket and carabiner, as well as an additional, non-waterproof exterior pouch. The Rack Lock Adapter, winner of the Eurobike Award, ensures that the bag fits on virtually any bike rack with a width of 60 to 160mm. Clip it on, secure it and remove it again. It's a snap! Can both ortlieb panniers and ortlieb trunk bag be mounted on rack at same time? I cant see why not. Like to put the bag sideway(logo facing back or front of bike) by re-position the adapter, is that possible?? No this would not be possible.